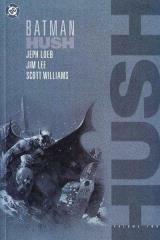 Following the events of "Batman: Hush Vol. 1", Batman uses his detective skills to track down the person responsible for the recent string of events pitting former enemies of Batman against him who appear to be operating not on their own behalf. The identity of Hush is revealed in the finale and not even the greatest detective in the world saw this one coming.